There are certain business structures that could be created to foster easier operations and management, or to accomplish some other agreed specific purpose. 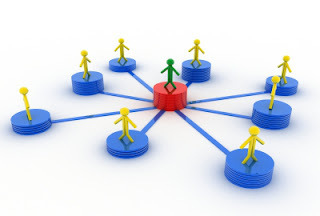 Businesses can be structured in the form of a group, holding or consortium to achieve the aforementioned goals. It is imperative to note here that a single company cannot be structured using any of these methods because there must be a minimum of two companies in existence before any of these structures can be adopted. The procedure for registration of each of these will now be considered in turn. 1. Payment of a non-refundable application for consent fee. 2. Formal application for consent to use the word ‘Group’. 3. Evidence of not less than three associate companies to form the proposed Group company which will be a distinct entity. 4. Similar names of associate companies and evidence of similar ownership or shareholdings of the associate companies. 6. Updated annual returns of all associate companies. 7. Evidence of Company secretary of associate companies. 8. Statement by the majority of the directors of the proposed Group company that the share capital shall not be less than the highest share capital amongst the associate companies. For an illustration of this point, let us assume that there are 4 associate companies as follows: Divine Nigeria Limited with share capital of N1m, Divine Farms Ltd with share capital of N1m, Divine Global Resources Ltd with share capital of N2m and Divine Travels Ltd with share capital of N5m. The share capital of the Group – Divine Group of companies cannot be less than N5m. 9. Evidence of compliance with S.553 CAMA where applicable. This applies to banks, insurance firms, deposit, provident or benefit societies. 10. After consent is successfully obtained for the use of the word ‘Group’, the new entity which is the Parent/Group Company can then be registered in accordance with the usual company registration procedure. 1. Payment of non-refundable application for consent fee. 2. Formal application for consent to use the word ‘Holding’. 3. Evidence of not less than 2 subsidiary companies. 4. Statement by majority of the directors of the proposed holding company that the company shall acquire more than half in the nominal value of the share capital of each of the subsidiaries within 90 days of incorporation. 6. Evidence of appointment of company secretary of each subsidiary company. 7. Evidence of compliance with S.553 CAMA where applicable. This applies to banks, insurance firms, deposit, provident or benefit societies. 8. After consent is successfully obtained for the use of the word ‘Holding’, the new entity which is the parent company can then be registered in accordance with the usual company registration procedure. 2. Formal application for consent to use the word ‘Consortium’. 3. Evidence of not less than 3 companies forming the consortium. 5. Resolution of each company in the consortium indicating consent to the consortium arrangement and stating the object of the consortium. 6. Statutory declaration to wind up the consortium in accordance with the provision of CAMA upon completion of the object of the consortium. 7. Statement of the object of the consortium in the memorandum of association. 8. Inclusion of a clause to wind up the consortium in the articles of association. 10. Evidence of appointment of company secretary of component companies. 11. Evidence of compliance with S.553 CAMA where applicable. This applies to banks, insurance firms, deposit, provident or benefit societies. 12. After consent is successfully obtained for the use of the word ‘Consortium’, the new entity which is the parent company can then be registered in accordance with the usual company registration procedure. The type of structure to be adopted is based on the purpose sought to be achieved. Business owners, promoters and entrepreneurs need to consider which of the structures above best addresses the need. It should not be seen as a status affair to boast of owning a group of companies as the registration of an additional company brings with it additional compliance obligations and thus the formation ought to be justified. *Please note that adequate professional guidance should be sought as this does not constitute legal advice and is solely for enlightenment purposes. Teingo Inko-Tariah is a Corporate Governance & Anti-money laundering practitioner as well as a consumer protection enthusiast. 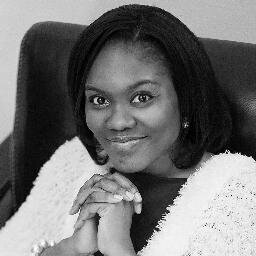 She is a Partner at Accord Legal, a law firm based in Port-Harcourt, Nigeria. Ed’s Note: This article was originally posted here.